This is the dress I’d wear to the U and I (it’s a dive bar) and I would get a gyro sandwich with a beer (trust me, the gyro has been good since the early 60’s) and maybe you’d get a well drink and we would all have a great time. I’d like to note that you can easily toss some darts in this modest mini. 60’s mod, large vintage wood buttons up the volume and the reinforced placket and neckline add structure. Long front and back darts flatter the figure. 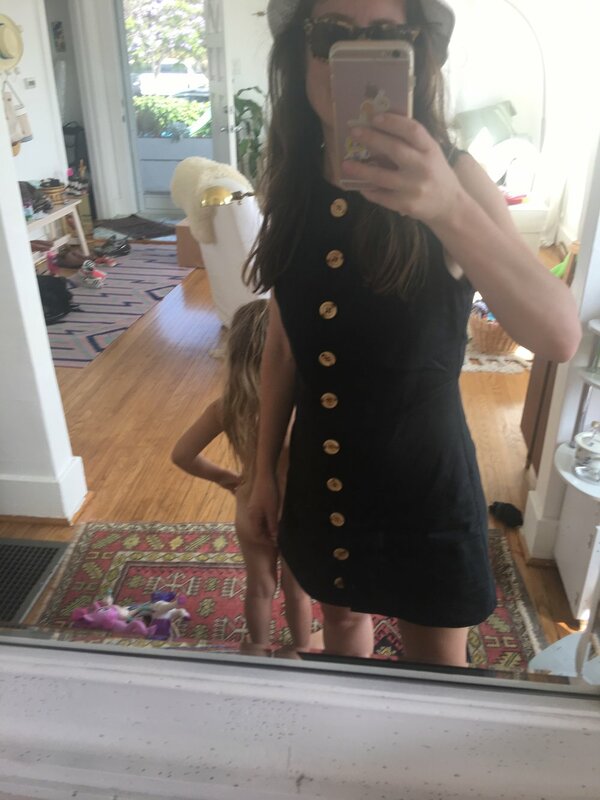 She’s a fun dress.